Richard Skemp was the major pioneer in Mathematics Education who first integrated the disciplines of mathematics, education and psychology. He was was born in Bristol on March 10th, 1919, the son of Professor A. R. Skemp of the University of Bristol, educated as a Foundation scholar at Wellington College, Berkshire (1932–7), with an Open Scholarship in Mathematics at Hertford College, Oxford, (1937–1939, 1945–1947). The war intervened and he served in the Royal Signals in India, attaining the rank of Captain. After completing his degree at Hertford College, he became a mathematics teacher, for two years at Oundle School and two years at Rye St Antony, Oxford. His increasing interest in how children learn caused him to return to Hertford College once again in 1952, at the age of 33, to study for a second bachelor’s degree in psychology. He completed his PhD in Psychology at Manchester University in 1959 where he was first a Lecturer in Psychology (1955–1962) and subsequently Senior Lecturer (1962–1973), directing the Child Study Unit. In 1973, at the age of 54, he became Professor of Educational Theory at the University of Warwick, where he remained until his retirement in 1986. 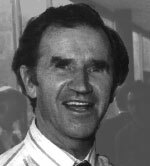 He was elected President of the International Group for the Psychology of Mathematics Education (PME) in 1980 and, in his memory, the Skemp Memorial Fund was created to provide support for attendance at PME conferences. Richard Skemp believed that chldren could learn intelligently from an early age, producing a complete curriculum framework for age 5–11 known as Structured Activities in Intelligent Learning. A collection of videos was produced showing Richard and his colleagues using these activities and discussing his theory. All these videos may be downloaded in Quicktime format from the video page.The first video is on the right. 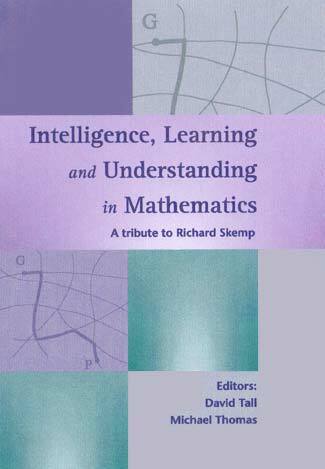 Recently published is a Tribute to Richard Skemp entitled Intelligence, Learning and Understanding edited by David Tall and Michael Thomas, including papers from Zoltan Dienes, Pierre van Hiele, Efraim Fischbein and many other internationally known mathematics educators. Information may be found here. Other pages on this web-site may be accessed from the links above. They include information about his books, downloads of selected papers and more information about SAIL, his work on Structured Activities for Intelligent Learning.